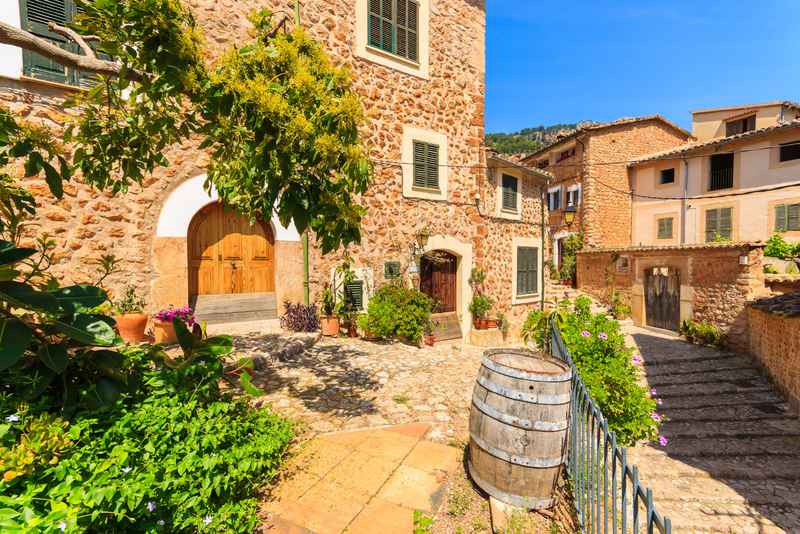 A rural retreat, responsible for some of Mallorca’s best wine! Situated on the South East of the Island, the modest town of Felanitx lays serenely within the surrounding countryside. 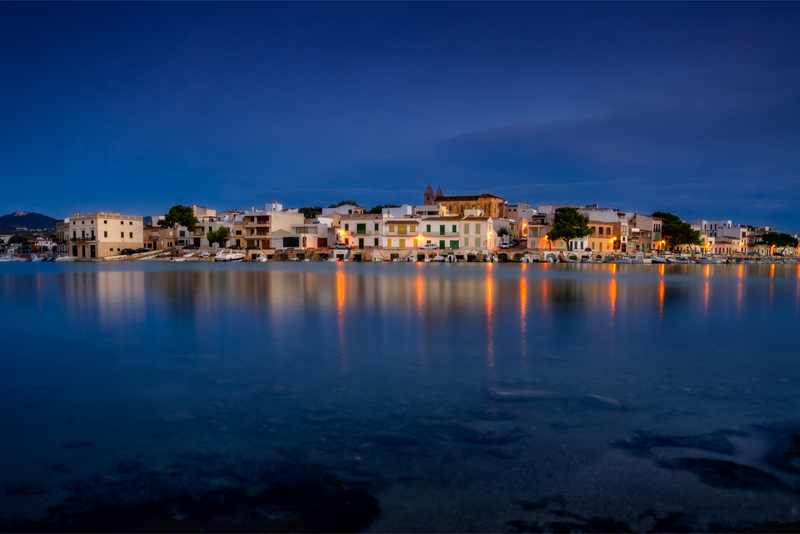 Although inland, you are a short distance away from the exquisite beaches of Portocolom, and with various historical landmarks within touching distance - Felanitx holds the key to many of Mallorca’s best kept secrets. 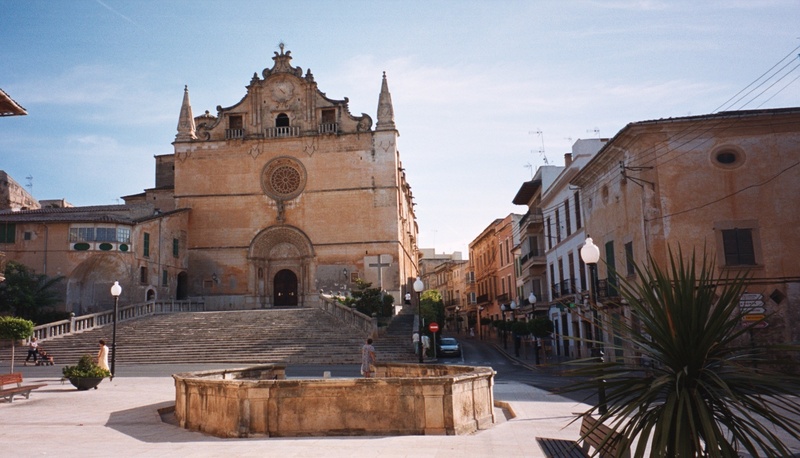 Felanitx is just 50km from the centre of Palma, and will take just under an hour by car. The majority of the journey is spent on the motorway, and relatively straightforward; of course, travelling by car also gives you the freedom to explore other corners of Mallorca (always my personal recommendation!). 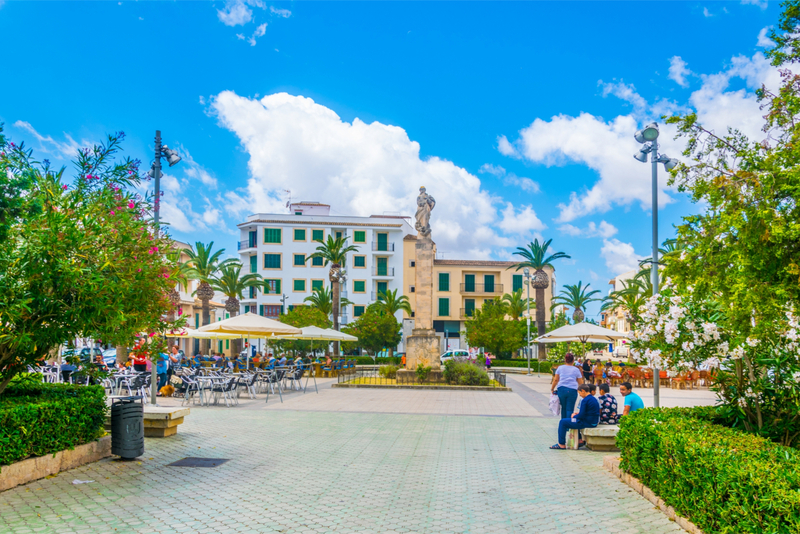 However, if driving doesn’t appeal to you there is one bus service, that takes just over an hour, and runs directly from the bus station at Plaza Espanya into Felanitx. The TIB 490 service operates all year round, and will cost around 7€ per person. Although this service operates all year round, it must be noted that frequency of buses does decrease during the winter months. With hints of settlement from as early as the Bronze Age, Felanitx has certainly played a key part in Mallorca’s history. During the 3rd Century BC Felanitx was renowned for its earthenware and pottery products, and throughout time it developed to become one of the islands largest producers of wines and brandies - for which it is still famed for today! 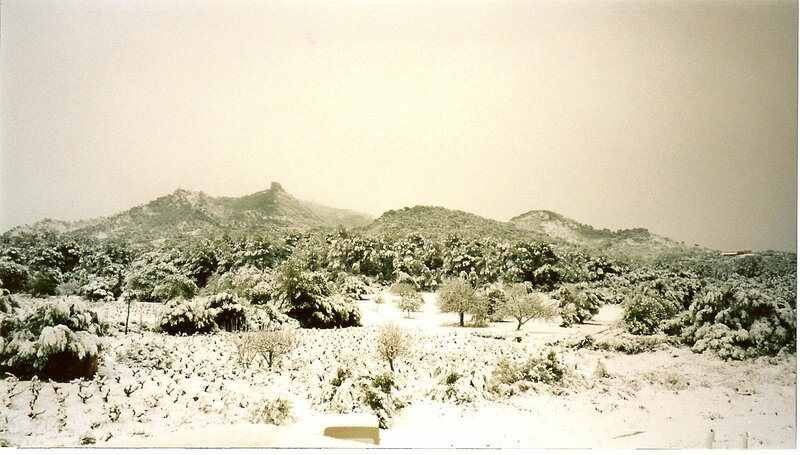 At one stage, during the 19th Century, Felanitx was recorded as the third largest city on the island (following Palma and Alcudia but after the catastrophic phylloxera outbreak much of the town’s wine production ceased, and people left the area to find agricultural work in neighbouring towns. Nowadays Felanitx benefits from a little on tourism, but is mainly home to a fantastic community of local residents, meaning that there is always something going on in this ancient little town! The town itself offers quaint streets, and ancient architecture which you can get lost in for hours. However, the stars of the show are the nearby castle and monastery. The Santuri Castle dates back to 1228 AD, and is carved into the rock face, almost 408 metres above the town. Built on the site of a pre existing fortress, the panoramic views across the town and coastline are simply breathtaking! The castle is open to the public every day between 10am-6.30pm. From April onwards, there is a small fee to pay upon arrival. Another spectacular sight is the San Salvador Monastery. Originally built in 1348, and renovated during the 1700’s, this incredible building offers stunning views, and also the option to stay over night and enjoy them for a full 24 hours! Accommodation is simple, yet comfortable, and very affordable! Felanitx is the second largest wine region on the island, so you can guarantee that wine will play a large part in any meal! Literally translating as ‘ the castle in the forest’, this hidden retreat serves some of the best Mallorquin cuisine in the area! A large terrace surrounded by tropical gardens transports you to a place of pure tranquility - perfect for a romantic meal! A mixture of tapas, paella and local meat dishes, the menu is true to Mallorca and all wines and spirits are made locally. El Castillo del Bosque is open for lunch or dinner, and although not the most affordable restaurant in the area, it provides an experience that money can’t buy! La Focaccia This Italian restaurant is situated within the centre of Felanitx, and as well as an array of delicious pizza and pasta dishes that’ll make your mouth water - it won’t pull on your purse strings either! With options for all the family, and a warm and inviting dining experience - it’s a restaurant that’ll have you visiting time and time again! The main sport in Felanitx is lifting your wine glass to your lips, and putting it back down again; it’s amazing how your biceps can grow doing this! In fact, some of the best activities that Felanitx has to offer are the wine tours of the local vineyards. As well as tasting various local wines (and having the option to purchase them) you uncover the history of the island, and trace your favourite pinot or reserva back to it’s very roots! The 4 Kilos Vinicola Wine Cellar, is responsible for distributing wine to some of the best restaurants in the world. From London to Peru, Francisco Grimalt (the owner of the cellar) is renowned as ‘The King of Wine’. The rustic bodega holds tours on a daily basis, and offers a sneak peek at this age old process. Drinking wine all day may not appeal to all of you, and luckily Felanitx has a solution for this! The town’s countryside location means that it is within easy reach of many hiking and cycling trails, that can be accessed throughout the year. From coastal strolls, to rocky rambles, there are varying challenges for all! The town’s inland location may put you water babies off, but fear not! In the neighbouring towns of Cala D’or and Portocolom it’s all about yachting! From chartering yachts with your own skipper, or renting smaller boats and doing everything yourself, this area of Mallorca embraces life on the water! For those of you who are more adventurous there is also an array of water sports, from water skiing to paddle boarding - whatever takes your fancy! At the market in Felanitx, there are exhibitors displaying many kinds of fruit & veg, meat, fish, flowers, as well as local craft goods. Affordable Mallorca Tip: After you visit the Felanitx market, a lovely place to eat,with mouth-watering vistas, is Son Terrassa at Carretera Cas Concos-Felanitx. Prices are quite reasonable and the food is delicious! As is typical of all Mallorquin towns, Felanitx loves to party! Each year it’s calendar celebrates annual fairs during the months of May, August, September and October and during this time the town will offer various street parties and competitions to mark the occasion. A traditional local dance known as ‘Els Cavallets’ will also be performed by the young children of the town, who dress in colourful traditional costume and perform at each celebration. 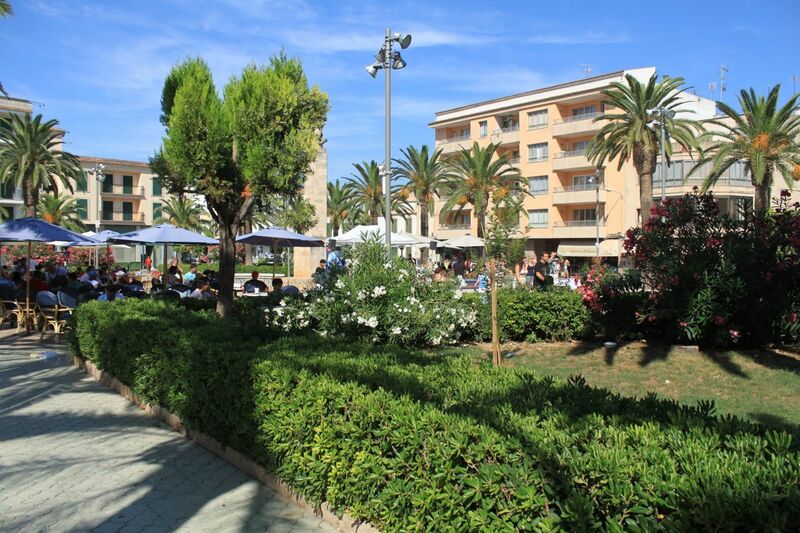 Felanitx is certainly one of Mallorca’s more affordable areas for property, with some small apartments and houses available to purchase from as little as 70,000 €! On average property prices range from 150,000 to 250,000 €, and for this price you can expect a property with 2-4 bedrooms. Of course if it’s luxury living and ‘villa-style’ properties that you want, the price range could take you into the region of 5,000,000 €! The rental market is also fairly priced, with properties beginning at 600 € per month, and reaching highs of 1,750 € per month. There is a large variety of styles available, depending on your budget. Providing the perfect insight into local life - Felanitx will capture your heart in an instant.